The results of an investigation of the chemical composition of ceramic from medieval centers of ceramic production and modern ceramics in the Chuy valley of Kyrgyzstan (sites of the ancient settlements Krasnaya Rechka and Burana are on the UNESCO World Heritage List) in order to determine more accurately the location of the clay that medieval ceramicists could have used. 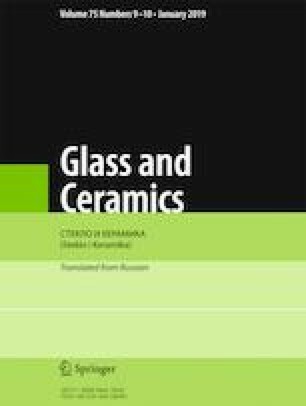 The chemical composition of the ceramic was determined by the wavelength-dispersive x-ray fluorescence method. Translated from Steklo i Keramika, No. 10, pp. 44 – 46, October, 2018.